Did you know that according to the Department of Energy, up to 30 percent of a home’s AC/heat usage is due to heat transfer through its windows? Updating your home with replacement windows is a surefire way to improve its overall energy efficiency. Plus, replacing outdated windows with new ones can also greatly improve your home’s curb appeal, as well as its security. 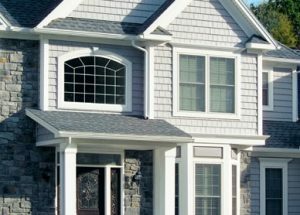 In order to reap all the benefits replacement windows can bring, though, it’s crucial to choose a specialty contractor offering the best products and highest quality installation. That’s why Indiana homeowners choose Surber’s Windows and Doors, in business and trusted throughout the area since 1980. At Surber’s, it has always been our mission to bring the most energy-efficient and low-maintenance products to the public. For replacement windows, we have chosen to work with Target Windows & Doors, installing their premium vinyl windows that are brimming with outstanding features and benefits. Styles – Choose from double-hung, casement, sliding, bay, bow, and more. Glass options – There are various energy-efficiency and glazing options. Colors/Finishes – Find the perfect combo of interior and exterior finishes to complement your home inside and out. Decorative muntin bars – Muntin bars are available in several styles and configurations to give your replacement windows a unique look. Of course, even the best windows will fail if they aren’t properly installed by trained professionals. At Surber’s, we’ve made it a point to have the best team of hourly paid installers – not subcontractors – and none have less than 15 years of experience, so you can trust that we’ll get the job done right. To learn more about our replacement windows, or to schedule a free, in-home consultation with one of our knowledgeable representatives, contact Surber’s Windows and Doors today. Or, feel free to come visit our showrooms in Anderson or Muncie, where you can see working models of our windows in person.